Photo by Delia Johnson and Delia Johnson | The State Press People work on setting upt the interior of new restaurant Chico Malo at City Scape near ASU’s downtown campus in Phoenix, Arizona pictured on Saturday, April 1, 2017. The newest restaurant available to downtown Phoenix students at Phoenix’s CityScape is not a normal taco stand, breakfast cafe or fine dining Mexican experience. Chico Malo which means “bad boy” in Spanish, got its name from a story its creators developed for the concept. “We wanted to start with a story,” Teddy Myers of Culture Shock Hospitality, the group behind the restaurant, said. The story goes that an affluent Hispanic businessman owned a high-end restaurant and left it to his son, who was, for lack of a better term, "a bad boy." “The whole concept was built around what that son would do to his father’s restaurant if he had an opportunity to slap his own stamp on it,” Myers said. Myers, who attended ASU and graduated with a journalism degree, fell in love with the hospitality industry after bartending through his schooling. When it came to creating Chico Malo, he said the group was inspired by the restaurant’s location, which had previously been designated for a grocery store then was a hybrid concept restaurant. Every inch of the restaurant is inspired by the concept, from the custom 10-foot tall door to the mural on the immediate right when entering the restaurant. The mural was done by Eduardo Recife, who has done typeface and collage work for a range of clients from Panic! at the Disco to the FIFA World Cup. The collage he did for Chico Malo brings in a variety of elements including Frida Kahlo, Day of the Dead and a realistic interpretation of the eagle and snake used in the restaurant’s logo. Other furnishings in Chico Malo have local ties, Myers said, including lowrider bicycle-inspired lights and the menu stand. As for the food, Myers said they have plans to serve lunch and dinner as well as a fast, casual breakfast featuring a simple menu and Cartel coffee. Myers said they also have plans to extend their hours at the restaurant’s front-facing to-go window and offer a late night burrito or taco stand during the weekend. The restaurant also features a tortilleria in the middle of the dining room where guests can watch their tortillas be freshly made. The restaurant has already garnered a buzz after it turned to social media and the downtown Phoenix community to create an art installation on the back wall. The installation is a book case filled with hardcover books, painted over to resemble a woman, the Chico Malo’s girlfriend, in front of a stained glass window. The painting was done in a collaboration between local artist J.B. Snyder and Tato Caraveo, whose work can be seen on Roosevelt Row. Rosie Lopez, an English senior who attends classes on the downtown Phoenix campus, is excited to see more Mexican food options in the area. Another student, Victoria Grijalva, a public policy sophomore, said she thinks Phoenix could benefit from a new style of Mexican food. "Street style Mexican food is not super common here, plus it reminds me of home so I think it would be a great addition," she said. Myers said the group behind Chico Malo like to consider themselves the next generation of restaurant operators who are breaking the mold. Chico Malo opens for business on Thursday, April 13. 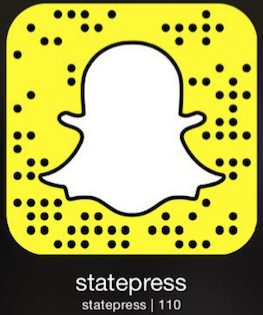 Reach the reporter at cmlnarik@asu.edu or follow @carsonmlnarik on Twitter.